Vitamin C or Ascorbic Acid chemical structure. October 22 is Charles King’s birthday and marks the passing of Albert Szent-Györgyi. Both men were biochemists who were involved with the discovery and study of vitamin C.
Vitamin C’s history begins with the disease known as scurvy. Scurvy in humans begins as general feelings of malaise and lethargy but will soon manifest as spotty skin, spongy gums and bleeding from the mucous membranes. As it progresses, the victim can develop open sores, lose their teeth, develop a fever and jaundiced skin and in extreme cases, even death. Reports of scurvy have been reported by Egyptians as early as 1500 BC. The most common victims were sailors on long voyages. Sailors tended to survive on a diet of dried meats and grains more suited to prolonged sea voyages. They were not known for carrying fruits and vegetables. This wasn’t really noticed until Royal Navy surgeon, James Lind linked a treatment of scurvy to citrus fruits in 1753. Although this link was established, no one was sure what part of citrus fruits was actually preventing the onset of scurvy. Albert Szent-Györgyi was a Hungarian biochemist isolated a compound known as hexuronic acid from adrenal glands that had ascorbic (anti-scurvy) properties. In the United States, Charles King was studying the effects of lemon juice on scurvy in guinea pigs. 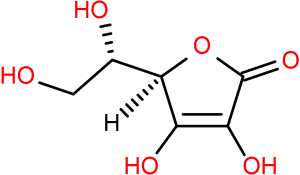 King isolated a molecule that appeared to be a vital nutritional vitamin in health which would later prove to be identical to Szent-Györgyi’s hexuronic acid. The name was changed to ascorbic acid because of its role to fight scurvy. 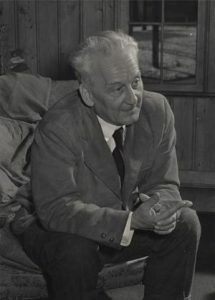 Albert Szent-Györgyi (1893 – 1986). Szent-Györgyi would be awarded the 1937 Nobel Prize in Medicine for this discovery while King’s contribution was largely forgotten. Some feel King should have been recognized partly as the discoverer of vitamin C and shared part of the Prize. Szent-Györgyi’s prize was actually awarded in recognition of his “discoveries in connection with the biological combustion process with special reference to vitamin C and the catalysis of fumaric acid”. Szent-Györgyi recognized its role in cellular respiration along with fumaric acid. These reactions are part of the Krebs cycle or citric acid cycle. The Krebs cycle is a series of biochemical reactions where organisms generate energy from carbohydrates, fats, and proteins into carbon dioxide and energy in the form of adenosine triphosphate (ATP). The prize was not for the discovery of vitamin C, but the study of how vitamin C fits into cellular respiration. 2008 – Indian Space Research Organisation launches their first lunar probe. India’s space agency ISRO launched their first unmanned lunar mission. The probe, Chandrayaan-1, lifted off from the Satish Dhawan Space Center and reached lunar orbit. It dropped an impact probe into the South Pole of the Moon to search for evidence of water. 1986 – Albert Szent-Györgyi died. 1975 – Venera 9 lands on Venus. The Soviet spacecraft Venera 9 dropped its lander into Venus’ atmosphere to successfully land on the surface. The lander transmitted pictures back to Earth for just under an hour before being destroyed. These images were the first images taken from another planet. View from the Venera 9 lander on the surface of Venus. 1905 – Karl Guthe Jansky was born. Jansky was an American radio engineer and physicist who was a pioneer of radio astronomy and the first to detect cosmic radio sources. He was attempting to trace sources of radio static that would interfere with long-range radio communications. Using an antenna of his own construction, he classified three main sources of radio noise: near thunderstorms, far thunderstorms and one steady source that appeared to come from the direction of the Sun. He later tracked the source to be from the constellation Sagittarius, towards the center of the galaxy. 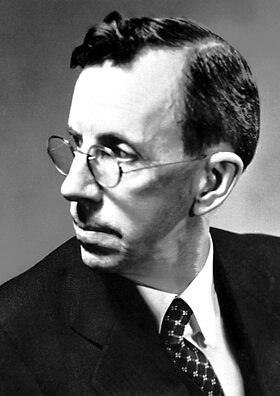 1903 – George Wells Beadle was born. Beedle was an American biologist who shares half the 1958 Nobel Prize in Medicine with Edward Lawrie Tatum for discovering how genes regulate biochemical events within cells. Their research involved mutating bread mold with x-rays and showing how these mutations changed the enzymes involved in metabolic pathways. 1896 – Charles Glen King was born. 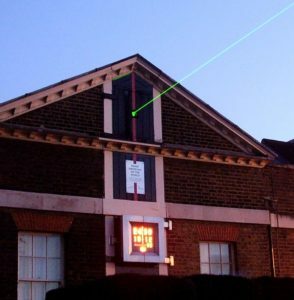 A laser beam from the Greenwich observatory pointing down the Prime Meridian. The International Meridian Conference was formed to decide on an official prime meridian for international use. This decision allowed for the standardization of time zones and navigation. 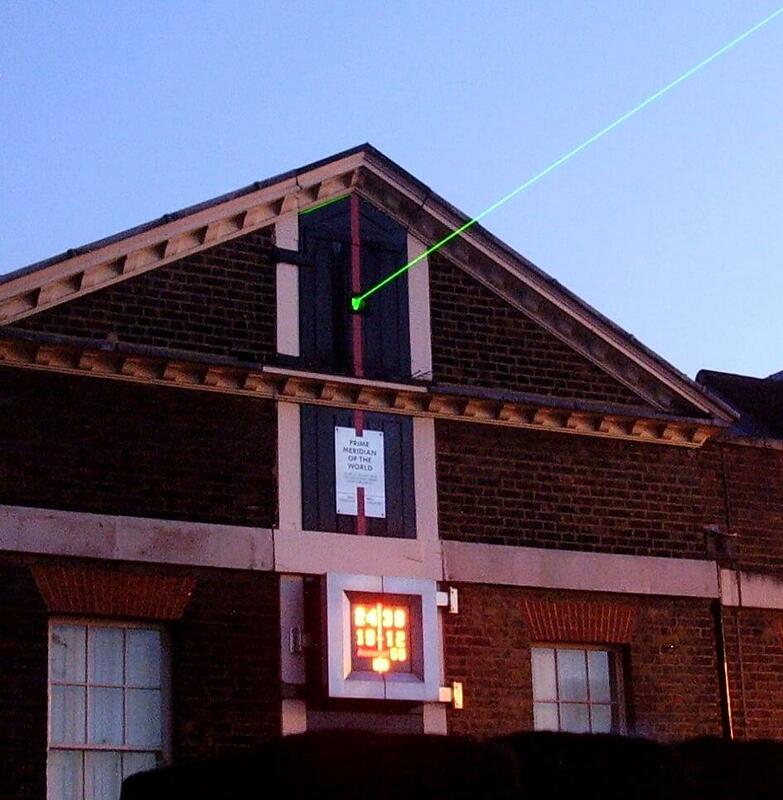 The choice for 0° longitude was set to pass through the Royal Observatory in Greenwich, England. They also decided the official day started at Midnight. 1881 – Clinton Joseph Davisson was born. 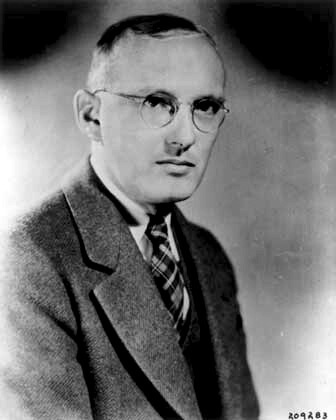 Davisson was an American physicist who shares the 1937 Nobel Prize in Physics with George Thomson for their independent discovery that electrons could be diffracted like light waves. This suggested particles could have wave properties, confirming the theory of de Broglie and is a basis of quantum mechanics.